This day, unlike any other day we were buzzing with excitement from the news. 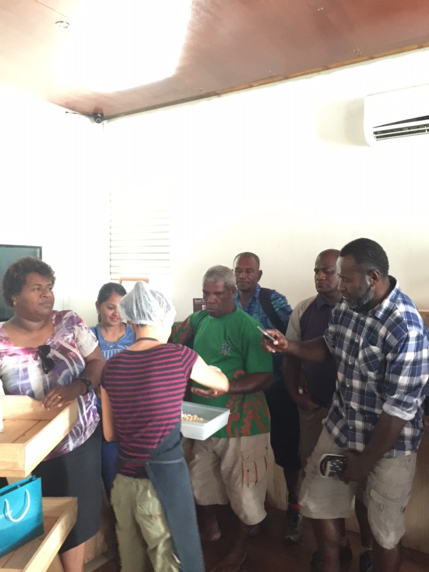 Our Cacao producers were coming to our factory! Mr. Ban from MOA was bringing them. We usually only see them at the farm or the Agriculture station. 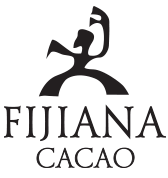 A big deal for us as it has been our dream to show them how their cocoa beans are produced to Fiji’s finest premium chocolates. 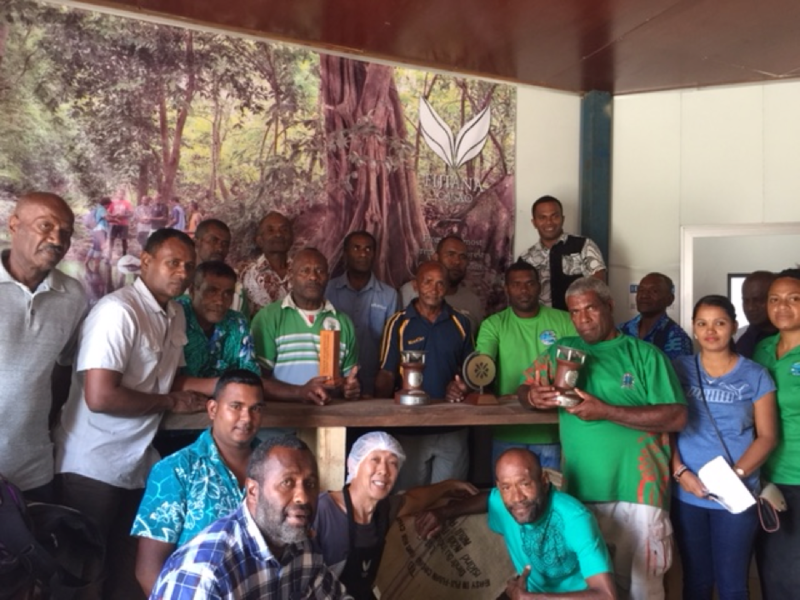 Quality requirements are also important issue which need to engrave into their values, but the most important thing for us was to solidify the relationship in our Fiji made chocolate supply chains. We used to call them “farmers” but I realized that when I looked through specs of the supply chain stand- point, they are indefinitely our true V.I.P. “Cocoa Producers”. They are owners of the cocoa plantations supplying to the chocolate factory, not just any farmers. To be able to say this and see the ultimate value in this visit now, was something that goes back to our long difficult journey. Harumi and I have been working with cocoa producers for past 12 years in Fiji, well supported by the Ministry of Primary Industry (Now they call them Ministry of Agriculture “MOA”) and Ministry of Industry Trade and Tourism (MITT), we have slowly but realistically been re-establishing sustainable cocoa industry through creating the solid local demand of dried cocoa beans by manufacturing of chocolate products. Not as big yet as Fiji’s historical export in 1987 of 485MT/yr but our current demand has been steadily growing. As of 1987 was the cocoa boom but four years later in 1992, it had dropped to 152MT, and kept plummeting down to 15MT in 2015. When they arrived on Thursday 1st March, they looked like someone from Suva (the Capital City). 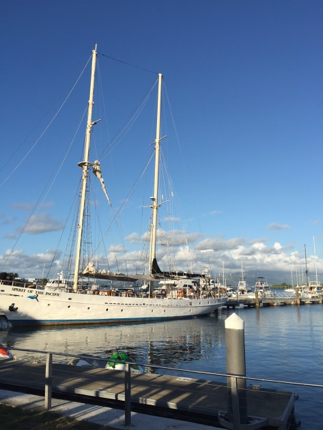 Usually wearing T shirt, sulu and bare foot, Harumi and I had never seen some wearing jeans, or others with washed nice bula shirts and shoes with pen on its pocket. “What happen to you” “You guys look great” We greeted each other with big smile. Briefing of the factory tour and explain about our chocolate making process from their beans which made them proud ( I could see from their face). I was scared that if I pleased them too much they will become more dominant that they can do what they do at the village at our factory like dipping finger in the chocolate tank, or sitting on the cooling tunnel belt… So I explained about our HACCP food safety procedure to straighten them up. Our 22 guests moved to the roasting and winnowing room, I explained the importance of the cocoa bean’s quality and the roasting process consist major portion of the chocolate taste profile. The team learned the entire process includes refining, conching, tempering, depositing and cooling from this tour . 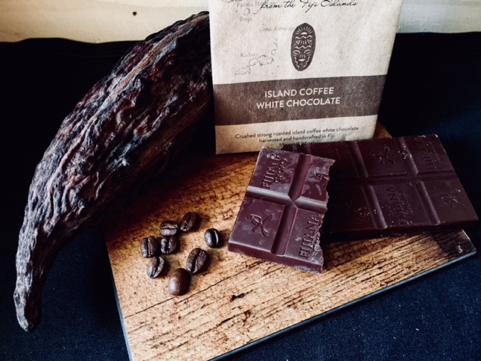 Lastly, we distributed roasted cocoa nibs, 100% cocoa liquor, 81%, 55%, Milk and white chocolate to experience the variety of the chocolates from their beans. And then someone mentioned that he had never been to the Port of Denarau, so they decided to visit before the lunch on the beach. It was one of our greatest day and really thank to the MOA to make this event happen.